Eli Roth’s 2003 Cabin Fever featured some great graphic design concepts that were worked into the posters as well as the DVDs. The most prominent and well known cabin fever poster is pictured above. The trees and cabin form a skull-like graphic that is subtle yet easy to see and makes for a very unique piece. This was also the cover art for the DVDs and Blu-ray’s. There were a number DVDs that also came with a 3D slip cover with the skull fading in and out. 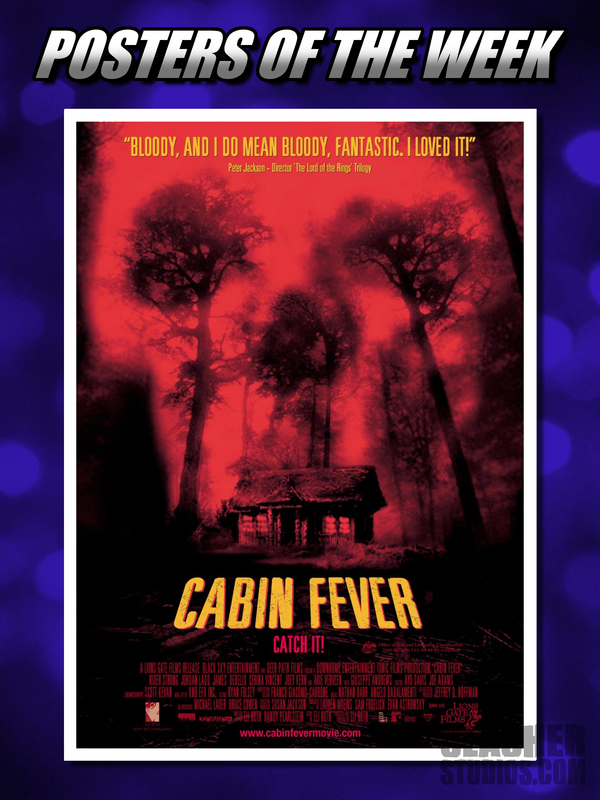 Another poster for Cabin Fever gives the onlooker a straight reference to the film. If you have never seen the film before and have no idea what it is about, then the artwork shown on this poster will give you a small glimpse of what is to come.